Chhattisgarh Public Service Commission (CGPSC) invites application for the post of 13 Visheshagya Chikitsak (Ayush Ving/ Therapy Center) on direct recruitment. Apply Online before 05 February 2016. Educational Qualification : PG with Panchakarma Subject from recognized by MCI. Selection Process : Selection based on their performance in Competitive Examination & interview. Candidates have to pay the application fee of Rs.300/- for SC/ ST/ OBC category of Chhattisgarh and Rs. 400/- all other candidates through Credit/ Debit card/ Internet Banking OR Challan. 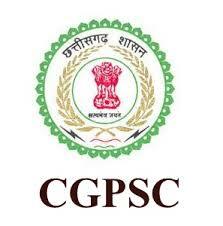 Interested Candidates may apply online through CGPSC website www.psc.cg.gov.in from 06.01.2016 to 05.02.2016.